Is it about being aware of your surroundings? Being conscious of others around you and how you interact, or maybe thinking something through before you do it. Is it about just being thoughtful? It could be all of the above, but literally it means paying attention. A mindful state is one where we are focused on the moment in hand. Not caught up in worries or troubling emotions, or past experiences, or future plans. Being mindful is about being fully present in this moment we are in right now. How is this different to how we normally operate? We are not lost in thought or being carried along by an emotion. For example, if we’ve had a bad day at work and we take our bad mood out on our partner when we get home, we are focused on our past experience, even if only an hour ago. Therefore we can’t be fully present to give the best of ourselves to our partner with our full attention. Mindfulness encompasses a set of techniques that can help us focus on the moment. The idea is not to clear the mind, but to be more aware of our own thoughts and feelings. So, as per the example above, the stressed worker would not necessarily have to bury their thoughts and feelings, but just be aware of where they are coming from, and of the result of staying focused on them and not on the situation they are presently in. It can help us to manage our day-to-day lives without getting enmeshed in our circumstances. Meditation is the practice of concentrated focus upon a sound, object, visualization, the breath, movement, or attention itself, in order to increase our awareness of the present moment. Meditation is a tool that can help people to approach their lives more positively and give people more awareness to be able to solve rather than avoid their problems. It can reduce stress, promote relaxation, and enhance personal and spiritual growth. If we think about a negative thought process as an electrical current, meditation is one way of short-circuiting that current. Experts are beginning to understand how meditation affects the brain itself. Electrical imaging shows it leads to an increase in alpha brain waves which are linked to relaxation, theta waves which are associated with a positive mood, and gamma waves which are linked to being alert. Meditation has been shown to actually change the physical structure of the brain, a process known as neuroplasticity. Clinical research now adds more weight to the claim that daily meditation can be good for a person’s mental and emotional health. It gives people a way to take a step back from their thoughts and feelings. 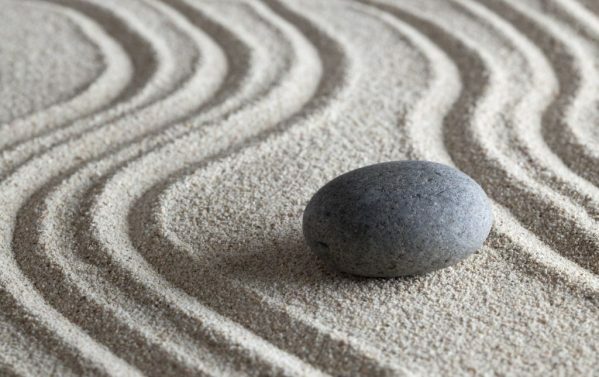 Mindfulness has its roots in meditation. Here’s a simple exercise to practice. Find a position that is comfortable, close your eyes and notice your breathing. Without being conscious of changing it, start counting as you breath in, and keep counting until you come to the end of an out breath. If your mind drifts off with a particular thought, just bring your attention back to your breath and continue counting. Practice your breathing like this for at least five minutes. There you have it. It’s a relatively simple form of meditation, but with lots of practice, the effects on our general wellbeing can be profound. To begin practicing mindfulness try the above-mentioned exercise for five-ten minutes morning and night. So, mindfulness provides us an alternative way of dealing with our problems. Instead of thinking about things endlessly, it gives us a way of seeing our thoughts as simple mental patterns. Like clouds in the sky, where we can stand back a little bit and watch them come and go. It takes some practice to refine mindfulness, but it is worth it. Mindfulness has been shown to improve people’s relationships, attention span, emotional wellbeing, and even people’s immune systems. It can have a significant impact not only for health, but also for job performance and family life. Some companies are starting to introduce mindfulness techniques into their staff wellbeing programs. It is also used in relationship and family counselling. Other benefits that arise from mindfulness include greater concentration levels, more insight and self-awareness and the ability to be more attuned to other people’s needs. Mindfulness allows people to slow down and live more in the present moment. It seems futile to live in the past because it’s gone and can’t be changed, and it seems pointless focusing too far into the future or on what might happen because it may never arise. So the point of power is in the present moment. That is, in this moment you have the choice to create your situation, however you would like it to be. Give yourself a protected time and space each day to be mindful. The repeated practice is the important factor, not what or how you practice.